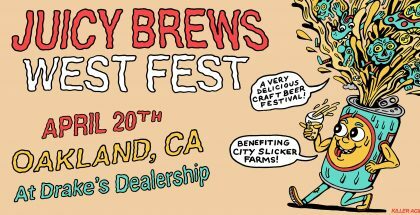 Most craft beer festivals are sausage fests. 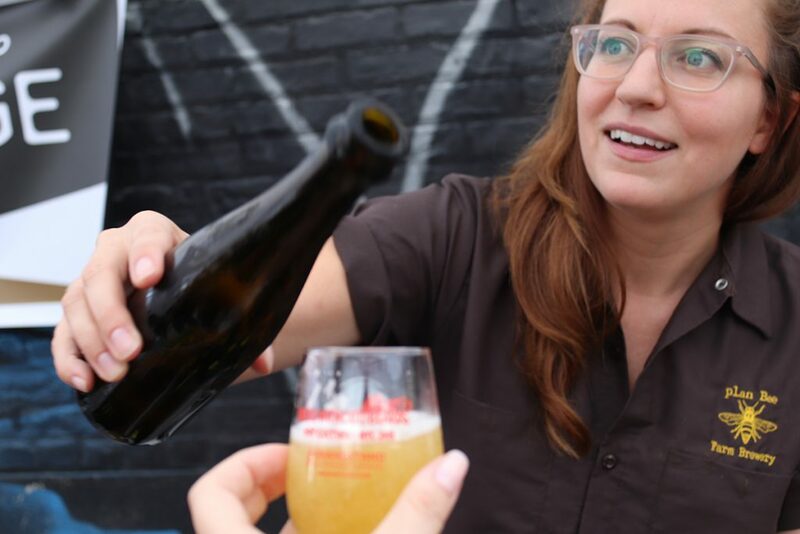 But that’s because most craft beer festivals aren’t focused on the beardless bad asses of the industry – the women. 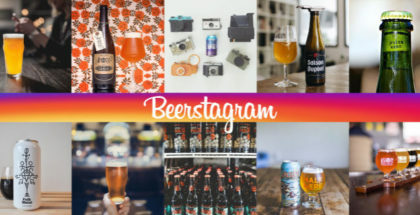 The inaugural festival organized by our friends at Hop Culture, spearheaded by Grace Weitz, aimed to empower the role of all women in craft beer, whether they’re opening breweries, brewing beer, writing about beer, Instagramming about beer or just drinking it. 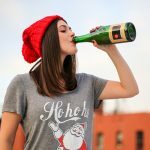 Hop Culture’s hope was to leverage the women on the forefront of changing the industry to educate others, and ultimately skew the demographics of women drinking and working in craft beer. 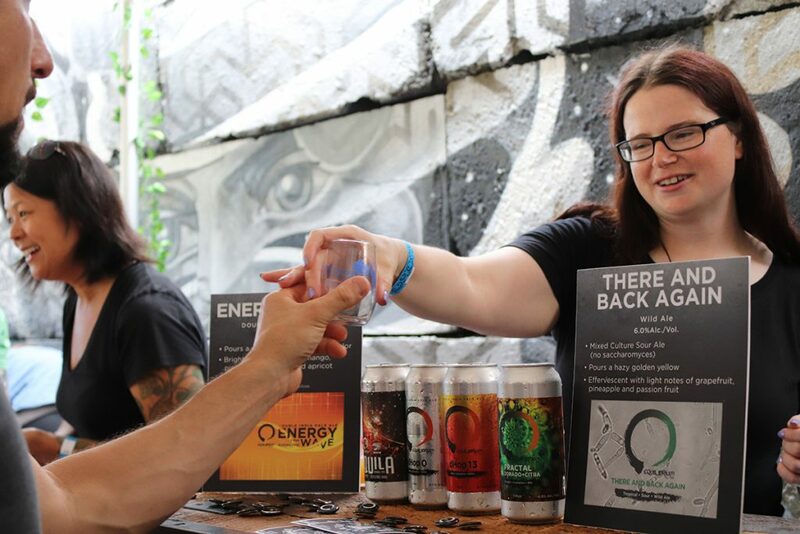 Hop Culture’s week-long celebration included an impressive lineup of events such as beer pairing dinners, educational panels, networking bottle shares, beer yoga, and more. Having had the pleasure to attend the inspiring Women Re-Writing Beer panel at Fifth Hammer Brewing and the very welcoming Women’s Bottle Share Networking Event at Beer Karma, I can say the events prior cast a positive energy and excitement over the community that really set the tone for the main Beers With(out) Beards event to come on Saturday. 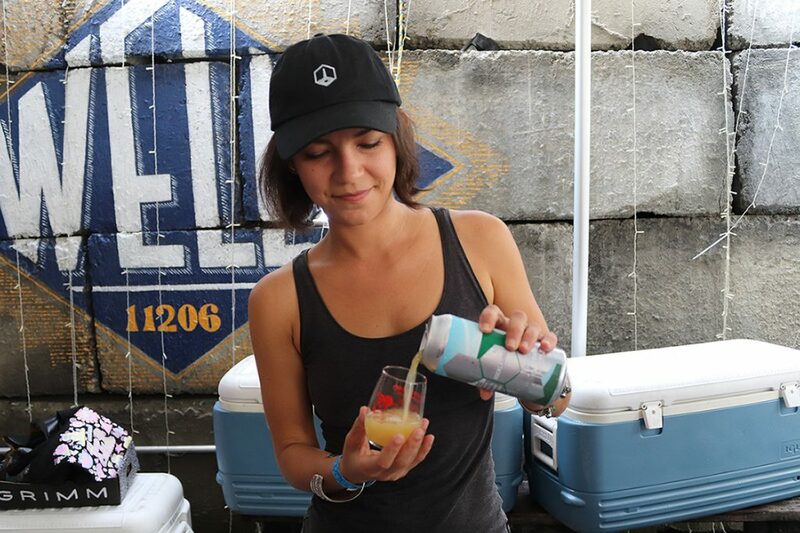 Last Saturday’s festival was hosted at The Well on Meserole Street in Bushwick, Brooklyn. I’ve been to a decent amount of beer events, but upon entering this one, it was immediately clear that Beers With(out) Beards wasn’t your average beer festival. Not only was it flooded by heavy on-and-off NYC summer rain, but it was also flooded with women. And not girlfriends and wives reluctantly accompanying their boyfriends and husbands, but enthusiastic, knowledgable women dominating the lines in front of the taps, eagerly awaiting pours from their peers. Represented at Beers With(out) Beards were 22 breweries from across the country, all founded by women or led by women brewers. 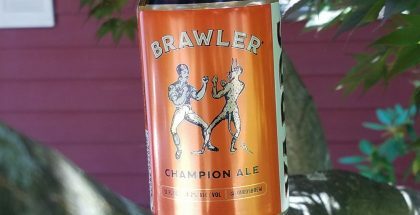 Under the tents lining the colorful, muraled walls of The Well were Equilibrium Brewery, Interboro Spirits and Ales, The Ale Apothecary, Three Weavers Brewing, Lineup Brewing, among many others. Some great samples being poured included everything from hazy IPAs like Triple Crossing’s Falcon Smash and Mosaic Triangles, to Fifth Hammer’s 3.9% abv Coconut Summer Stout called Lil’ Coco Roasty, vibrant sours from Black Project, and Plan Bee’s Pickleback, a whiskey barrel aged version of their Pickle American Wild Ale. 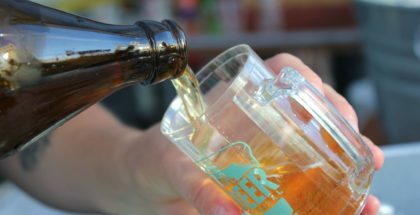 The range in variety of styles offered was accommodating for anyone who was new to craft beer and wanted a taste of a little bit of everything, but it also offered enough for the more seasoned enthusiasts to be excited about. 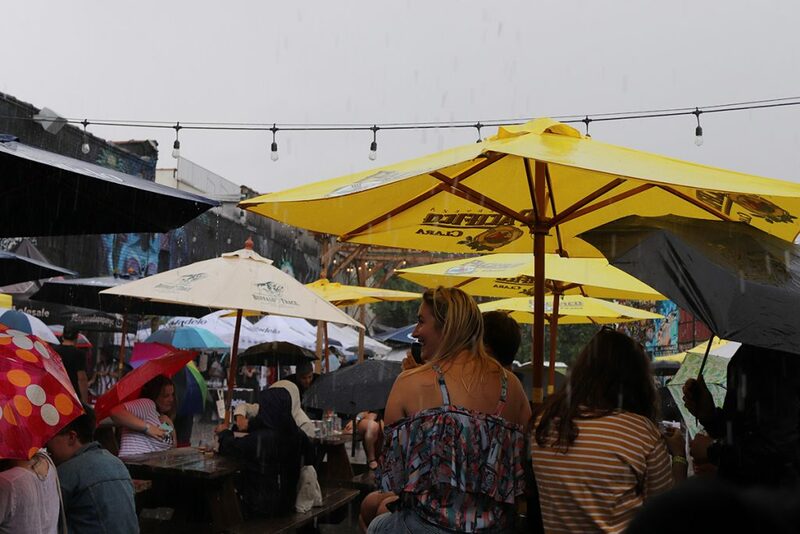 As the festival let on, the rain did too, but the positive energy was contagious as everyone huddled under tents, camping out near their new favorite breweries. Looking around as I was part of the crowd, it was clear that this festival wasn’t only a celebration of the wonderful women in beer, but also the truth that craft beer is a community with space for everyone, bearded or not.